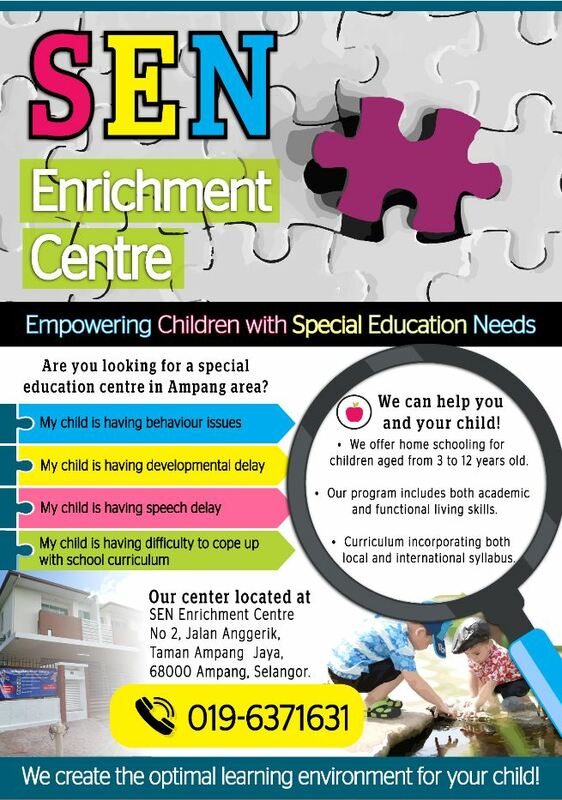 Are you looking for a special education centre in Ampang area? We can help you and your child. We offer home schooling for children aged from 3 to 12 years old. Our program includes both academic and functional living skills. Curriculum incorporation both local and international syllabus. 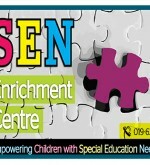 We strived to bring optimal learning and functioning of the children with needs. No 2, Jalan Anggerik, Taman Ampang Jaya, 68000 Ampang, Selangor. 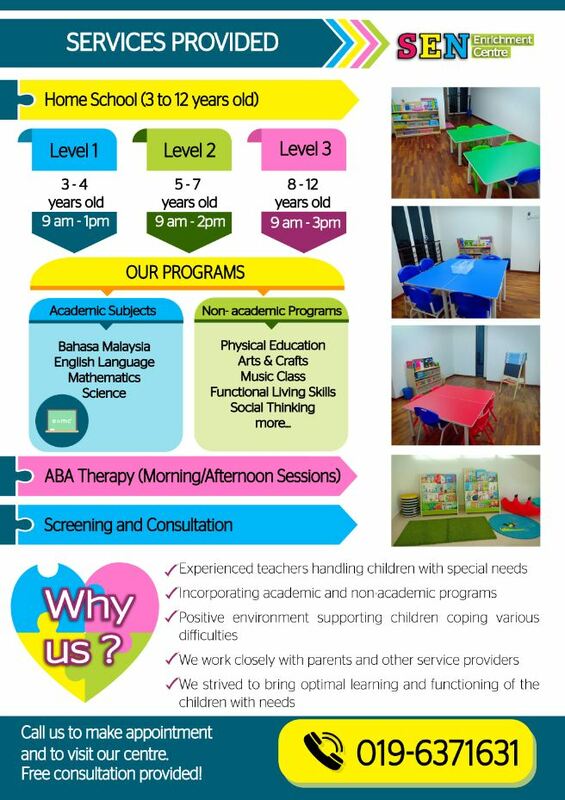 Call us now (019-637 1631) to make appointment and to visit our centre. 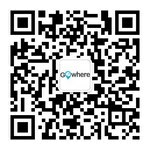 #We create the optimal learning environment for your child!